Slide 1/2 (teach) - Definition and explanation of what alliteration is together with examples. Slide 3 (practise) - Children read a poem and have to identify all the examples of alliteration. 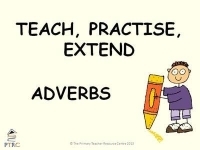 Slide 4 (extend) - Children are asked to write an alliterative sentence about 5 different objects/things. They are then asked to write an alliterative poem about a subject of their choice.